This month, Friday the 13th was a memorable and important day. 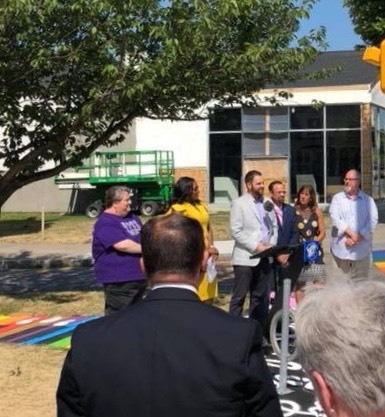 Mayor Lovely Warren and I held a press conference to announce that we were bringing a piece of legislation forward for City Council’s vote that will ban conversion therapy practice In Rochester. Health professionals have concluded that conversion therapy is dangerous, leading to depression, drug abuse, and even suicide. In addition, it is based on a false and ugly premise: that there is something wrong with being LGBTQ. By banning conversion therapy, the city of Rochester will reject this lie and reaffirm that all people should be treated equally regardless of who they are and who they love. My full remarks about the conversion therapy ban and the story of why it is important to me that we take this step, can be viewed here. The City Council vote will take place on Tuesday evening, July 24th, at seven o’clock.